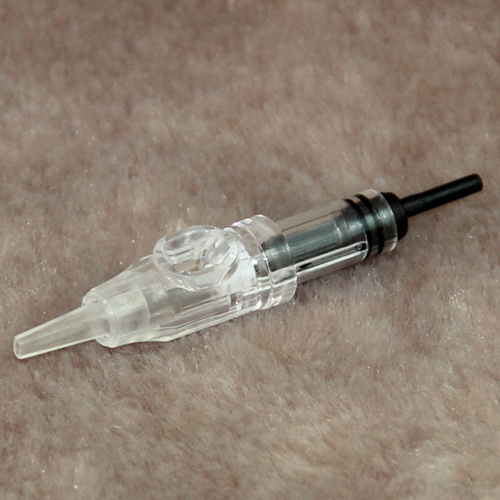 The new medial cartridge micro needle was designed to 100% stop back flow of inks and contains a reservoir for a specifi c colour of pigment.A single cartridge lasts for the entire regular procedure without the need to refi ll. Due to its design, smudging of the pigment does not occur. Special attention has been paid to the needles as well. 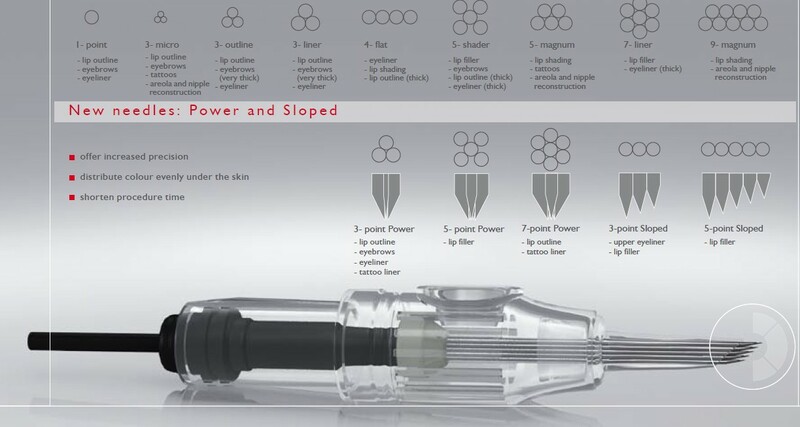 The shape of the needle was optimally designed in order to obtain the highest precision and offers minimum discomfort while implanting dyes into the skin.